Of course the FBAR is NOT being used to further its original purpose. There have not been extensive revisions to this Section 5314 over the years and it remains largely as originally drafted and passed in the year 1970. 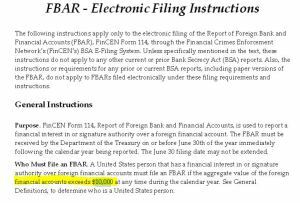 See, Currency and Foreign Transaction Reporting Act of 1970, P.L. No. 91-508, 84 Stat. 114 (1970). 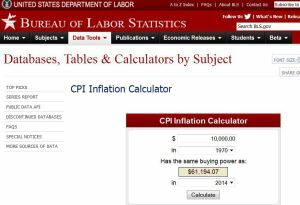 Curiously, the US$10,000 threshold amount is not reflected in the statutory language, nor in the regulations. Instead, this US$10,000 threshold is set forth in the instructions of the form. 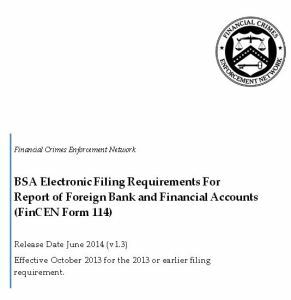 See page 4 of the FBAR electronic filing instructions. This raises numerous legal questions that will be discussed in later posts. This entry was posted in Uncategorized on December 12, 2014 by renounceuscitizenship.